Publish Date: February 6, 2018. 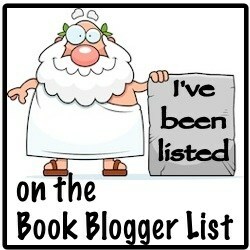 Welcome to my stop on the blog tour for Next Year in Havana! Camila Cabello‘s soulful song, Havana, comes to mind when I think of this book. Special thanks to Chanel Cleeton, NetGalley, and Berkley Publishing for the privilege of previewing this book in exchange for an honest review. One of my New Year’s resolutions is to read a historical fiction book, and I enjoyed this one very much. The cover is so pretty and captures the essence of the book perfectly. I have never been to Havana or Cuba but every family member or friend that has visited the area has fallen in love with it. They tell me that it’s beautifully steeped in tradition and beauty. Everyone who has been there speaks of it very fondly. Chanel Cleeton’s descriptions of Havana through the scenery, neighborhoods, the homes and kitchens, the food, and environment is detailed enough to make you feel as if you are there. The plot, the characters, the setting, and the relationships were very well written. Next Year in Havana is told in a dual timelines; two stories in one. It alternates between Elisa’s story in the late 1950’s and her granddaughter Marisol in the present day. I enjoyed both stories so much that I was wistful when the chapters ended and transitioned between Elisa and Marisol. I wanted to keep going with the current character’s story! I loved how the 2 storylines converged in such an unexpected way. Reading about the strong grandmother-granddaughter relationship between Marisol and Elisa made me reflect on my own grandmother, the sense of culture and traditions that she imparted on me, and my interactions with her. It had me thinking about how a relationship with a grandmother can be so different than a relationship with a mother. Grandmothers are special because they are the best listeners, they are wise, positive, they keep secrets, their love and hope is infinite, and they have the perspective that only comes with experience and time. You can feel the author’s personal connection in the story because Chanel Cleeton’s family fled Cuba in the late 60s. Originally from Florida, Chanel Cleeton grew up on stories of her family’s exodus from Cuba following the events of the Cuban Revolution. The political climate during the time of President Bautista and Fidel Castro is so vivid and descriptive. The characters passionate feelings about their country and reflections of the political unrest were obviously written by someone who experienced it firsthand. You don’t have to know anything about Cuba or have visited the country to appreciate this book. It also made me thankful to be a United States citizen where political freedom of expression is accepted. The story is not in the category of books that I normally read, but I’m so glad that I branched out and read it! If you have an interest in the history of Cuba, or if you want to learn more about it through historical fiction, Next Year in Havana is a book that you won’t want to miss! Giveaway: As a part of this blog tour stop, Rafflecopter is giving away a Kindle Fire 7 Tablet, 8GB with Alexa to one lucky person! Who doesn’t love a freebie!? Enter to win here. I also have more happy news: Chanel Cleeton has written a follow up book! Beatriz Perez’s story continues in When We Left Cuba, which is expected to be published in Spring 2019. Add this to your Goodreads TBR list here.